If you would like to receive puzzles from others, simply sign up using our online membership form. These charges cover the costs of maintaining and marketing the website and replacing popular puzzles that become worn or go missing. Once you have signed up, you can request puzzles from our library and your name and address will become part of the list where others can ship their puzzles. Please provide the address at which you would like to receive puzzles. Your email address is not shared or made public. If you would like to change your preferences, simply make changes to membership using our online change form. You do not have to be a member to participate although it is encouraged. You may ship puzzles to any of our members without joining. You are limited to three (3) swaps as a non-member to decide if you want to join. You cannot trade for library puzzles. When you are ready to ship puzzles, visit the INTERACTIVE TOOLS and choose a recipient who wants the puzzle you have to send. This can be someone in your area or someone across the globe. The choice is yours. You may select several persons or send more than one puzzle in one package. When you are ready to label the parcel, you will visit the recipient list to get the address information. It is arranged in alphabetical order by Country, State, City, and Postal Code. All the preferences of the recipient are listed along with their mailing address. The cost to ship the puzzle is yours. Also, please do not ship puzzles internationally, low quality puzzles, puzzles without original boxes, or puzzles with missing pieces unless the recipient has agreed to accept them. View our Transit Board of puzzles currently in transit between members, there are usually between 60-100 in transit at any given time. print a journey sheet (Color or Black and White) and write your 1st initial, last name, city, state, country, date and include it in the box. This will show all future recipients of this puzzle where all it has been and keep it from getting sent back to those who have worked it. Print a Shipping Label which will identify the contents of the package to the addressee. You may also use your own label. Package and send your puzzles using whatever service you like. Complete the mandatory shipping notice forms. Initiate a Swap or Return a Puzzle form. This will let us know that you have shipped a puzzle to one of our members and we will then transmit that information to the recipient. This way they will know to expect it and know whether or not you are expecting a puzzle in return and the type. Recipients are required to send puzzles back to you unless your shipment is a donation. Double check the INTERACTIVE TOOLS for your intended recipient and their preferences. If they don't specify 3D or shaped puzzles, they probably would not like to receive them. If you are listed as willing to swap and someone sends you a puzzle, please make sure you send them one back as soon as possible and at least within 30 days. If it is reported that you do not swap, your membership will be suspended until you correct the delinquency. You will not be able to receive any more puzzles during this time. 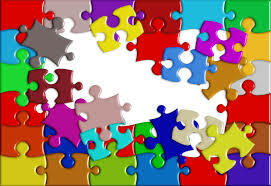 If you receive a puzzle that is not comparable to the one you sent or not within your puzzle preferences, file a swap dispute form. Dispute Resolution. You may need to provide an image of the completed puzzle, along with a copy of the puzzle journey sheet in the case of multiple member infractions. Disputes carry a 1 point quality rating point reduction for each infraction if not corrected. We plan 3 swap meets per year in the months of April, July, and October. Members can attend their local area meet if there are two or more members registered to attend. You may meet more often if you wish. By exchanging puzzles with others you will make new friends that share your puzzling pastime.